Lovely one story, fee simple and low maintenance home! 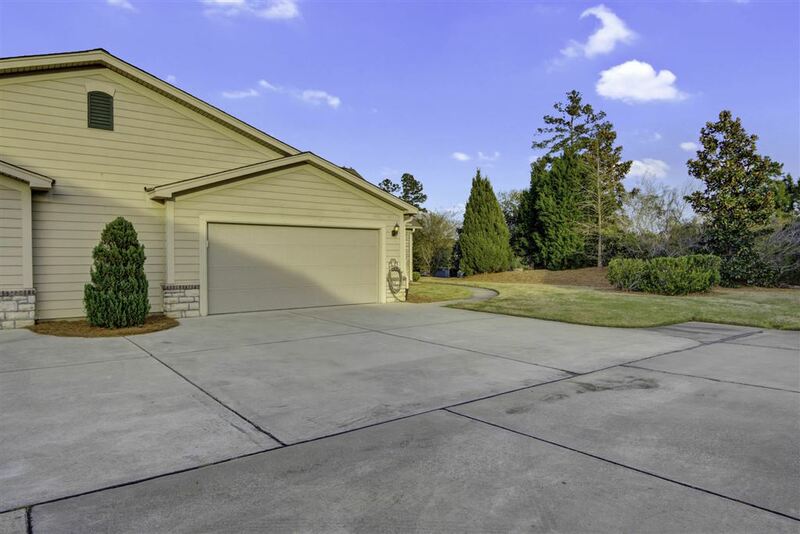 Never mow a lawn again! 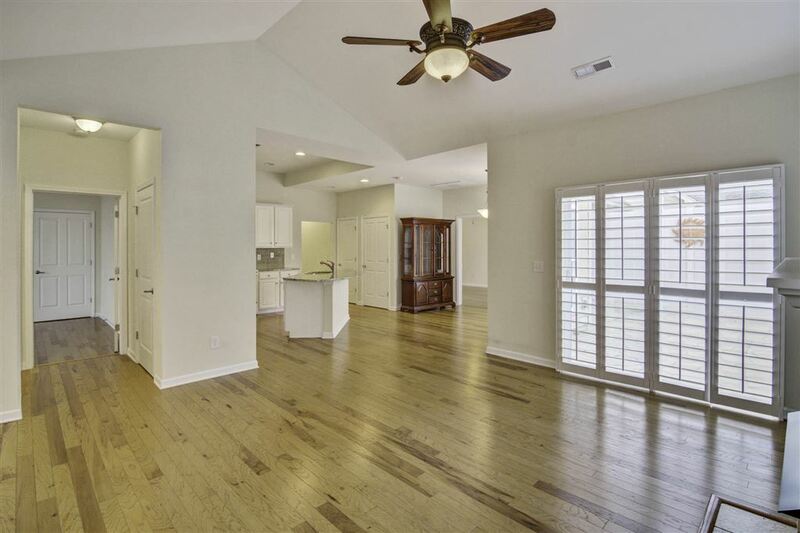 This Bramante floor plan offers two bedrooms and two full bathrooms. 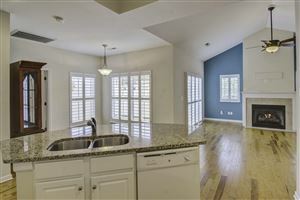 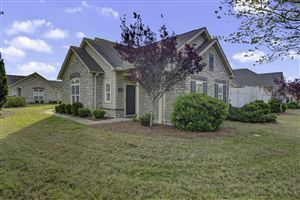 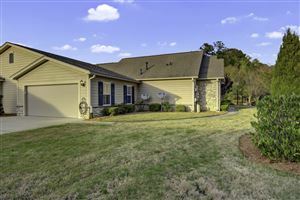 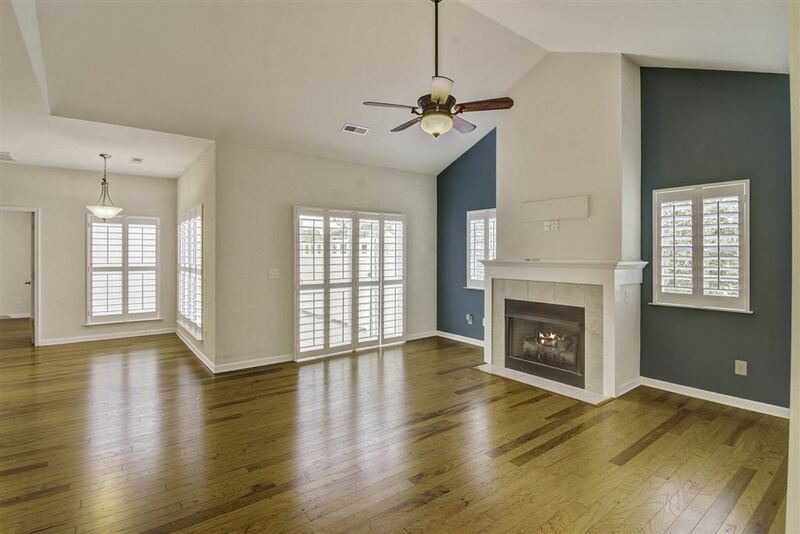 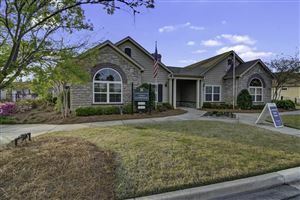 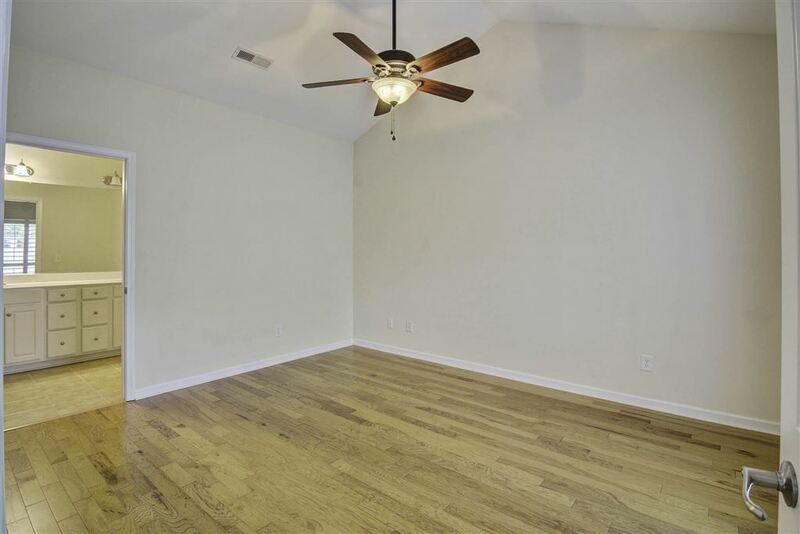 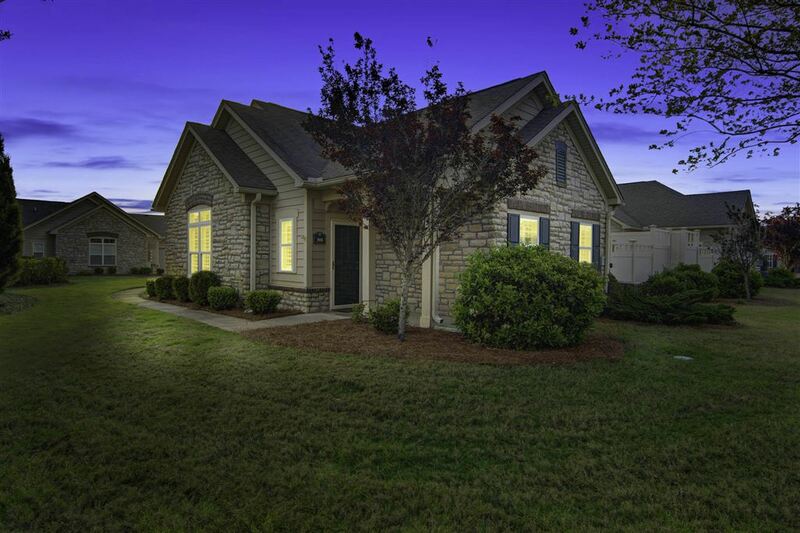 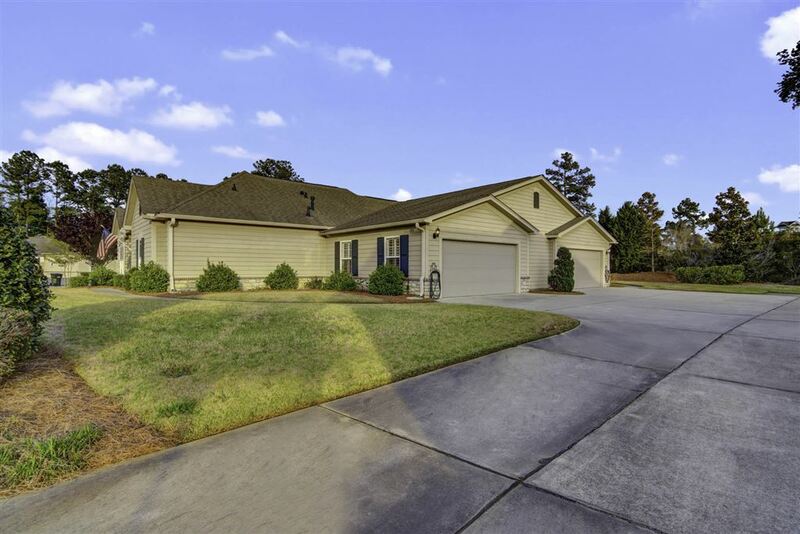 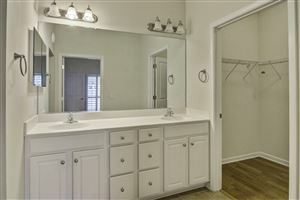 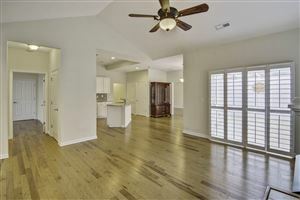 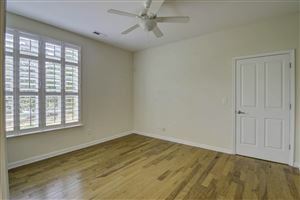 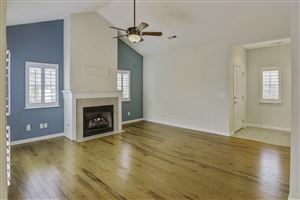 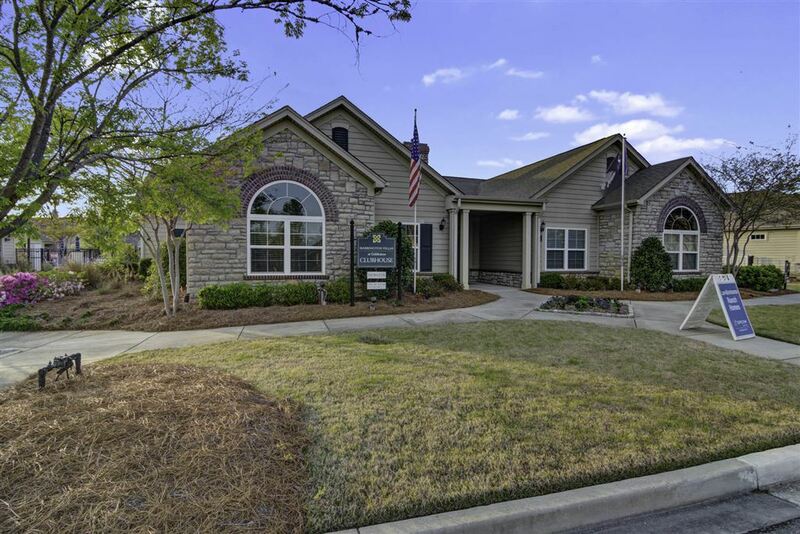 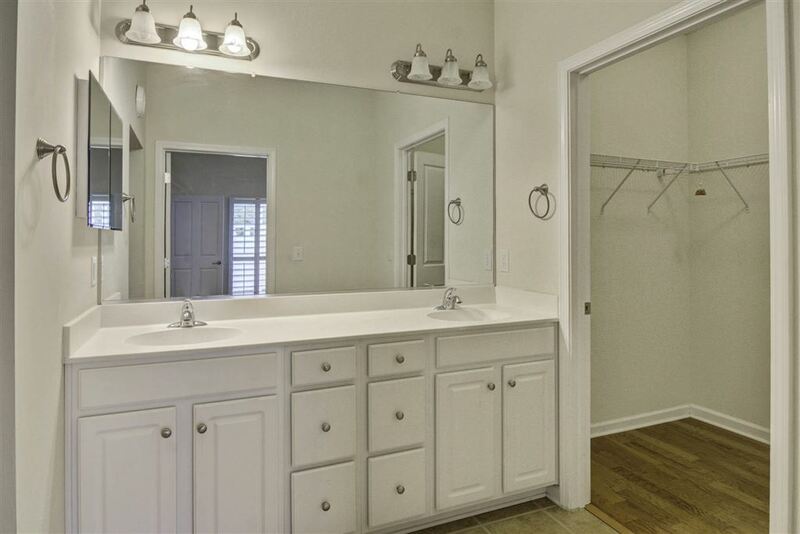 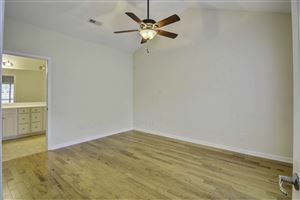 Hardwoods in living areas, open floor plan and cathedral ceilings in great room and the master bedroom. 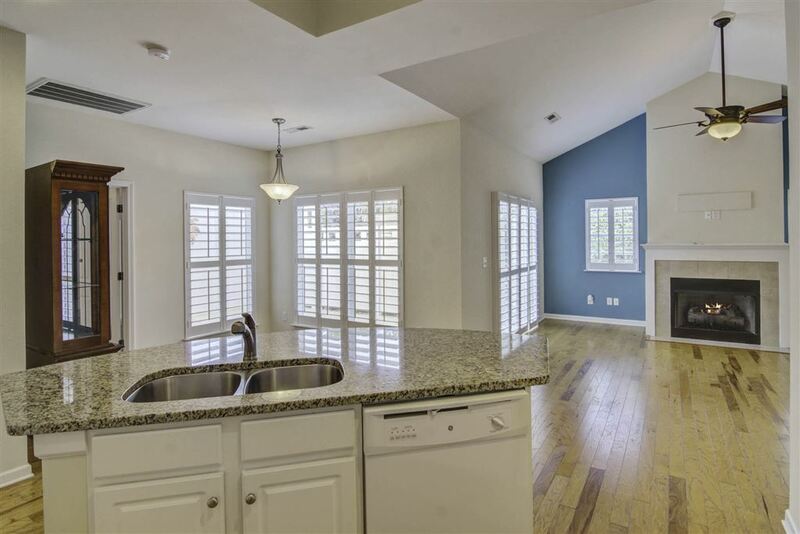 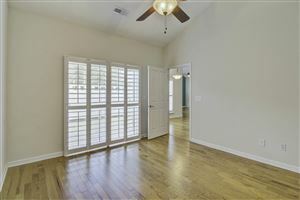 Nine foot ceilings throughout the rest of the unit and lovely plantation shutters on every window. 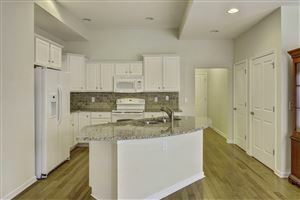 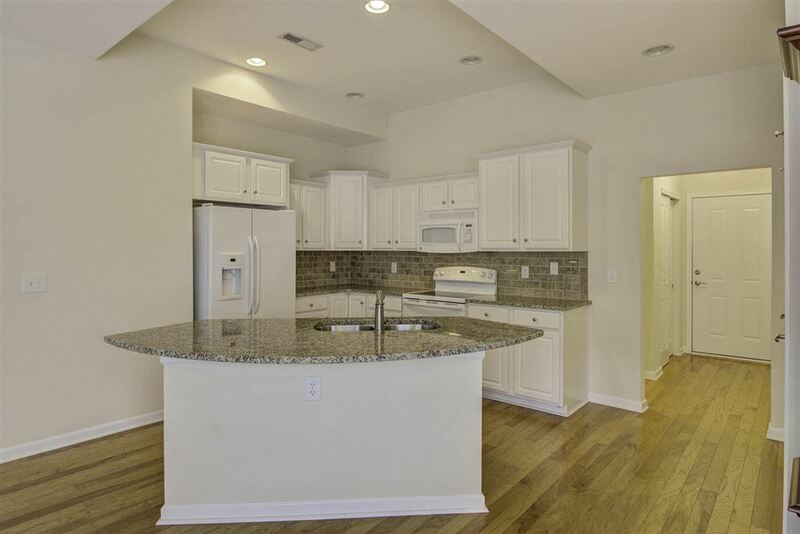 The kitchen has granite countertops, upgraded staggered cabinets and a large kitchen island. 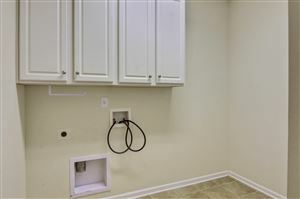 The direct entry 2 car garage is oversized with plenty of storage. 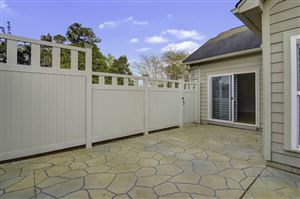 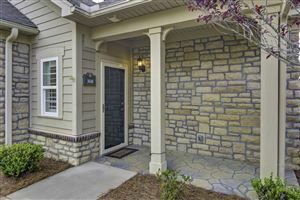 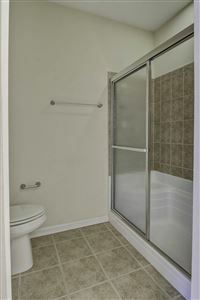 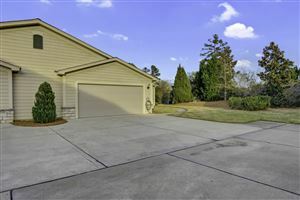 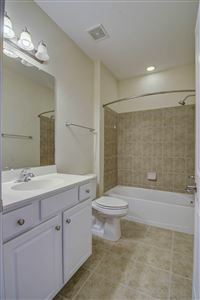 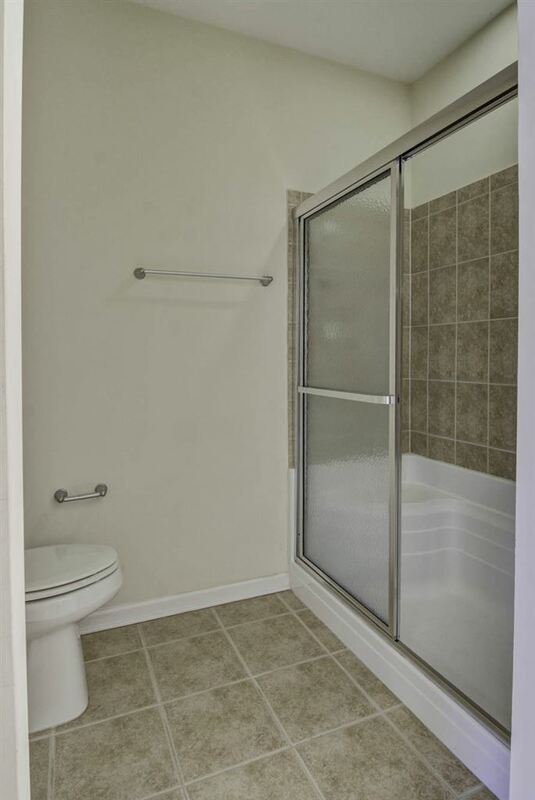 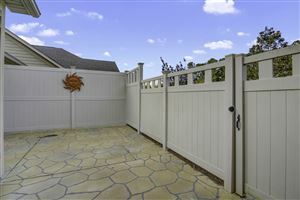 This unit has lovely landscaping with a private covered entryway. 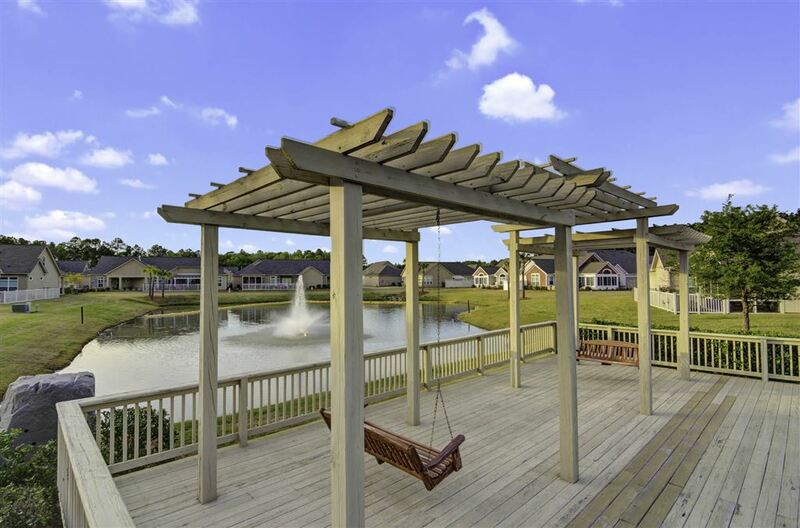 The private back porch is a great retreat. 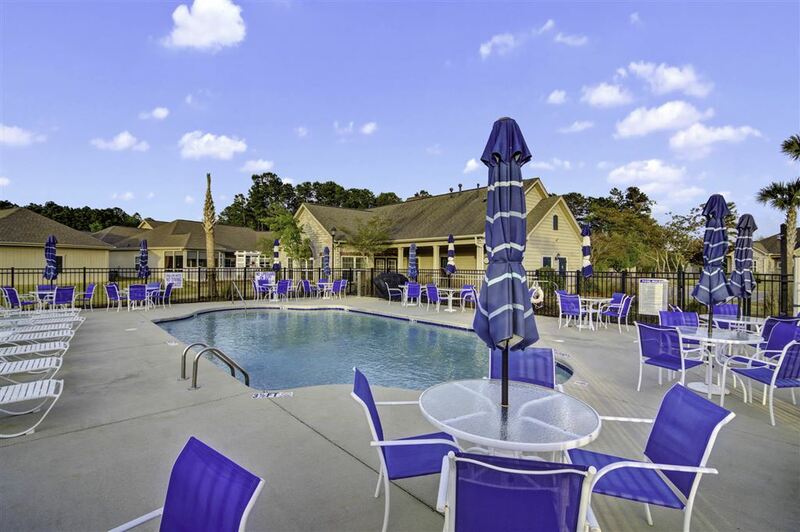 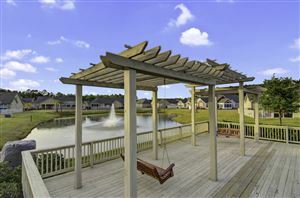 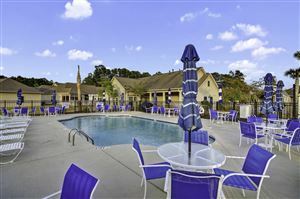 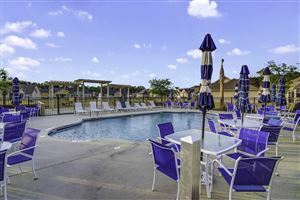 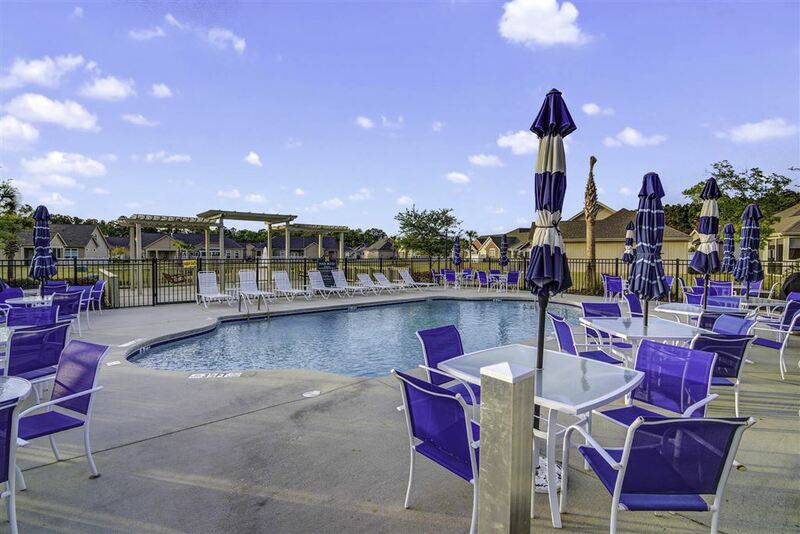 Just across the street from the clubhouse and the pool, it is easy to enjoy the amenities.